As Labor Day weekend approaches families across Anne Arundel and Queen Anne’s County are gearing up for their last summer getaway. From beach weekends to theme parks, it’s sure to be a busy time in Maryland. Skip the bumper to bumper traffic on Route 50 and stay close to your Koch home this Labor Day. Give these staycation ideas a try as you enjoy the final days of the summer season. Take your shot at sporting clays at the Point at Pintail. The Point at Pintail offers an experience as exceptional as its waterfront location. 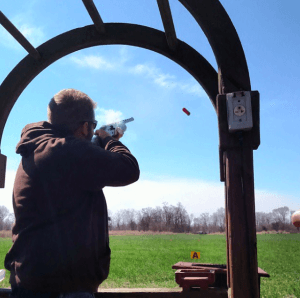 Developed for hunters to practice their skills sporting clays have become a fun and challenging activity. The Point at Pintail Sporting Clay course is available year round, rain, snow or shine. Shooting options include several shooting stations offering an exciting array of targets, and a water-backdrop wobble trap. Luckily for residents, this staycation destinations is only an hours drive from our Harvest Ridge community in Annapolis, MD. Tour one of Maryland’s alpaca farms at Outstanding Dreams Farm. 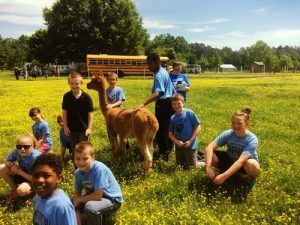 The staff at this family owned and operated farm, love introducing folks to their friendly animals and enjoy giving visitors a view of their farm operation. Learn more about these unique creatures and stop by the gift shop for a storewide variety of products crafted from luxurious alpaca fiber. 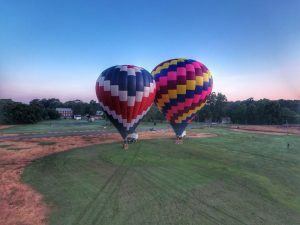 Take a hot air balloon ride with Delmarva Balloon Rides. Enjoy a new perspective on the world with a convenient balloon flight surrounding the Chesapeake Bay areas of Baltimore Maryland, Virginia, and Delaware. Join pilot, Todd Davis as you soar through the clouds above Maryland’s Eastern Shore. Balloon riders from our Gibson’s Grant community might catch a glimpse of the beautiful waterfront neighborhood during their hot air balloon experience. Join the stand-up paddleboard sensation with Capital SUP. Just a few minutes away from both our Timber Creek and Blue Heron Estates community, head to Naptown to for an entire day of stand up paddling boarding around Maryland’s Capital. Sign the whole family up for a group tour. Each session includes a lesson, a history tour, intro fitness workout, and a team building activity. 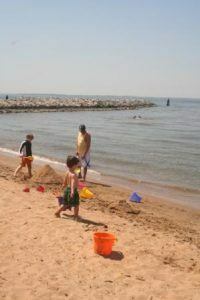 Spend the day at Kent Islands Matapeake Clubhouse & Beach. No need to head to the crowded beaches of Ocean City. Open from sunrise to sunset, the Matapeake Clubhouse & Beach offers breathtaking views of the Chesapeake Bay Bridge. Thirty minutes away from our Woodlands at Plum Creek community, this quaint beach is a real hidden gem of the Chesapeake.